With people over social media becoming more and more aware of whom they follow and what they see from accounts they follow, it has been a tough time to maintain the follower count of our social media accounts. Maintaining a regular engaged community is the secret for any online marketer. Almost 97% of the customers search for a local business through online social platforms but hardly 80% of the brands miss the chance to win customers by keeping them engaged over social media platforms. If you are losing your followers from your social media accounts, it’s high time to rethink your social media strategy. If you are one who find your social follower count a little shorter every time, then this is an exact post for you. I’m gonna explain why you’re losing social media followers and how to avoid it. Following might be the 6 absolute reasons for not getting more social media followers! Most bloggers and marketers take their followers as default people who will listen or share to whatever they are broadcasted. Sadly, this is a fatal mistake because your audience is unique and specific to you. If you are a food blogger, you should not expect your followers to retweet or like your update about Beyoncé. Talking random things without a viewpoint will make it difficult for your audience to relate to what you say and they will leave you alone. Defining an audience persona will help you to know your followers better, and then you can share the updates they want to hear from you. Almost every leading social network has an analytics program that depicts how your social updates perform against one another. Just view it at regular intervals to see what type of updates gets the major engagement and use that pattern in future updates. An update avalanche is like a flood of status updates that make your reader overwhelmed, and they quickly unfollow you. The logical reason most marketers give is that they want to keep their followers informed, and so they post every hour or may be every 30 minutes. What they fail to notice is that their followers have a social life too and get irritated with way too many updates in their news feed. Try to maintain a strict schedule and update at the same time every day. Your audience will also get used to it and will be prepared for your update. If not other social media channels, Facebook offers advanced audience targeting that will help you control who sees your update. This way you can better target updates for specific groups of followers while not overwhelming the other groups. If there is a steady graph down for your follower chart, it means your audience isn’t connecting with you. One primary cause for this is you are too indulged with your brand value that you forget you and your audience both are human beings. Always using third person and updating too much industry insider news might make you appear authoritative but in the course of time, your followers will fade away. There is no harm if you post an occasional picture of your cat or your work table. If you are messy post a snap of your office and ask your audience for a suggestion to organize it. It’s not that you need their advice badly but asking for a way out will make your audience feel cared. Using automated tweets to thank new followers or even worse using automated DMs is a deadly sin. People online are smart enough to realize that your thank you is an automated tweet, and you even don’t know that they followed you. This is a big turn off as far as Twitter users are concerned. Use social media to connect with the audience at personal levels to build a memorable business brand. Ask them for suggestions or thank them for crossing your milestone. Make followers feel special by occasionally offering a freebie or a resource. They are following you and this itself is a reason to offer them with bonuses. Almost every leading social channel has hashtags facility that helps in boosting your social status updates’ reach and lifespan. A probably more irritating factor that leads to mass unfollowing on social networks is misusing the hashtags. Most marketers either use too many to maximize their reach or use the wrong hashtags. a) Use a standard set of hashtags which should not exceed three to four of Facebook. Though you are not compelled to follow these rules, Twitter officially claims using two hashtags is perfect for tweet optimization. Don’t use a trending political hashtag for your parenting blog just because the hashtag is trending and has more reach. It makes you appear unprofessional and in even more true words, it makes you appear as a spammer. Use your industry related hashtags only. Here is a guide to using hashtags on social media. Social media also has its set of ethical guidelines, and if you ignore the social media best practices you should not expect the long-term social followers! If you don’t post regularly, you cannot expect your readers to remember who you are for your next update. Try to be consistent. If you don’t have time to publish regularly either schedule your updates well in advance or hire a social media manager. Occasionally sharing your Instagram updates on twitter is okay but guess the reaction when your twitter followers would receive an Instagram link every time they see you in the news feed. They are your twitter followers and not Instagram followers so keep that in mind. Facebook also gives an ugly link format when cross posted to twitter which is why most followers unfollow you. The tagging feature was initially launched to inform the people present of related to status updates and photos across social media platform. Eventually, businesses and social media people started using it as a way to notify people of their social updates. And now as you are losing your social media followers, the probable reason is you tag way too much to get your fans irritated. Don’t tag your followers just because you want your update to catch maximum eyes. It is a very pesky way to force your folks to either unfollow or block you. 6. Buy me! Buy me! Buy me! You are there on social channels to provide value and build a community, don’t start hawking g your products or your fans would treat you as a hawker. Make your community an engaged one by featuring the fan of the week and other ways to make your fans feel special. This way you could actually get people to listen to you and then you could occasionally promote your product to them. Losing social followers is not something so deadly that it cannot be solved. You only have to treat your social media followers like they are your family & friends. After all it is fans who give us the stature we enjoy today. The secret to influence and appear connected is to interact with them. Reply to their queries, reveal your secret strategies and be transparent to avoid losing your social followers. What is your viewpoint on this post? 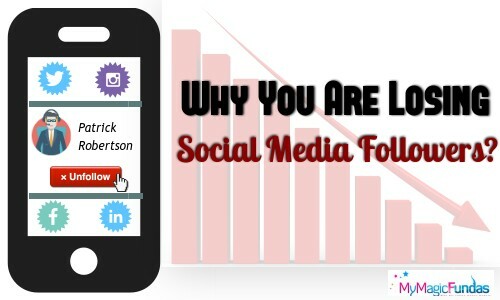 Are you losing followers on social media? How do you optimize your social media strategy to gain more followers? I would like to hear your opinion of my post on losing social followers, kindly discuss with me through the comment section. Nirmala, social media followers are definitely important for getting our posts promoted. Your tips will be helpful for all those who’re losing their social media followers due to certain reasons. According to me, interaction with followers is necessary as otherwise they may get bored and stop following us. Nirmala you’ve got very good social media following and that’s why bloggers need to learn lot of things from you. Thanks for checking the post and sharing your nice views on social media followers. I agree with your viewpoint and yes, they are indeed needful for blogging success. As you said, social media interaction is more important to reveal that we are dynamic and passionate. Thanks again for your kind words, glad you liked the post. First of all thanks for your updates! “Not posting regularly” Really this point is notable. Whenever existing visitors see no recent update, who engaged with social media profiles, they might leave and social media don’t give impression to share contents. Well-said Al mamun, welcome to my blog. Great to read your nice thoughts on the inability in retaining social followers. Yes, we need to share beneficial information for our social media supporters to please them and thus they will be giving the hand for us to spread our content. Glad about your visit, keep coming! I am astonished. I mean so many things to notice and we simply post statuses hoping for results. I myself am guilty of avalanches and draughts. I somedays publish 10 social media updates and somedays go with nothing. Thanks for this advice maam. 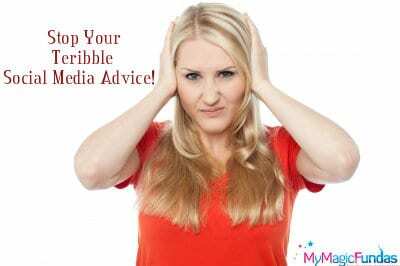 And yes that “worst advice post” in the bonus is a must read for every social media marketer. I would like to thank you for the kind support in everything you’re doing for me. Yes, it would be good to change your strategy in social media. Maintain the post sharing constancy for your social followers and track the result. It will be awesome! I’ve come across worst pieces of advice on social media and I end up with nothing. Thus, I’ve included that post here, thanks for checking it. Have a great week ahead, stay tuned to share your opinion. Very nice article Nirmala, I am aware how difficult is to retain our followers. you covered an important topic and all the tips mentioned are spot on..
Good to see you regularly Mukesh. Yes, it is somewhat difficult to maintain the no. of social followers for our blog as we need to give quality updates for them. In addition, we need to help them by sharing their content on our network. So, we should spend quality time on Social media to retain our active supporters. Glad you liked the post and I feel good with your kind appreciation, stay tuned! Using social media for kind of business is good as it would let them get more leads and build the brand name. Thanks for spending your time to read my post and leaving your thoughts, keep visiting. Social media followers are indeed required as everything is going social nowadays. 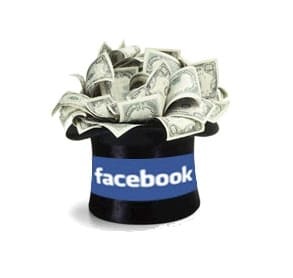 I wonder, in few years we will get more business from Social media than search engines. Posting frequency and engagement with followers are the key things in order to keep the followers with you. Thanks for your kind appreciation Atish. Good to know your viewpoints here and I agree with them. Yes, we will be getting more clients from Social media in the near future. Keeping the social supporters with us is essential to spread our content and yes regular updates & interaction are the keys to retain our followers on social media. Thanks for getting time to read and share my post, have a good day. Interaction is the only way to retain and increase followers in social media. I have seen poor content that gets more attention than its worth mainly because the person sharing the content is a master of social communication. When you are genuinely interested in sharing or liking any kind of content, your posts on social media gets the attention of those who you admire and follow. It will happen in the long run and it is worth the wait. Great to read your comment Badri sir and I agree with you. Yeah, it’s not about the content you’re sharing, but it’s about the person who shares the content (Whatever may be the content quality). Sometimes, I get PM from someone to share their content on my network and I always hesitate to share the unworthy stuff. But, I do share them as I don’t wanna disappoint them. My supporters do the favour for me in terms of social signals and resharing (retweeting) even though the data is not worth. It happens! As you said, interaction is essential in keeping the social supporters with us. I’m always happy with your visit and I feel good that you’ve spent some time to check and comment on my post. Take care sir, stay tuned! Thanks for the useful tips on gettting and retaining social followers. All the points are valuable. I am using cross posting. Now I realised the drawback of it. Thanks for finding time to read my post. There is no wrong with cross posting, but you should do it in a limited manner to avoid getting irritated by your social media followers. Stay tuned! Indeed many of the tips i do not know. Good to see you here and great that you’ve landed here by checking Atish’s update. Thanks! Glad about your bookmarking activity and it is really fine that you’ve leaned something new from post. Keep visiting, have a productive day ahead! It is our mistake that people unfollow us or we can say that we force them to unfollow us by doing unethical practices on our social media accounts. It is very common to see people join social media for just selling their services or product and no one care about the what they are posting. Because either people ubfollow them or they just start ignoring them as I do. Thanks for the solutions, you provide in your post. These all works for everyone and need to follow if you want to rock and remain your follower with you. Sorry for replying late! I agree with your thoughts and yes, sometimes we force our followers to unfollow us through our unessential activities like tagging, sharing unuseful stuff and so on. So, we have to be very careful in doing the right & needful things for them. Glad you liked my tips! It would be good to follow a set of strategies to keep our social followers with us and thus I’ve crafted this post. Thanks for your visit, comment and share. Stay tuned! Yes, with so many blogs coming up and more the people, just retaining your followers and fans on social media, and even on your blogs is not easy any longer. You are right about all that you mentioned, especially the part about overwhelming your followers with frequent updates, tagging them unnecessarily, not being consistent with your updates, automating your updates, and not interacting with your followers. These are sure-shot ways to make them unfollow you. I liked how you gave suggestions alongside too, and yes, if you keep adding a little variety to your updates, there is no questions the followers won’t increase. Luckily, I don’t face this issue or perhaps I am a little careful with the way I deal with my followers, but I can understand that it’s not the same case with everyone. Thanks for leaving your wonderful views and sorry for replying late. You’ve simply consolidated the things which would make the social followers unfollow us. I agree with all of them and yes, we should avoid the annoying activities like tagging, irrelevant info sharing, not interacting & responding to their queries and so on..
Great to know that you didn’t face the losing social followers issue till now and I’m sure that you’ll never face it any time. I can see you’re actively interacting with your followers and help them to share their content on your network. What else they need other than these? You’re my great inspiration to work with passion, thanks for your nice advice on spending a little time daily on social media. Have a good & productive day ahead! In last 3 months i have lost many followers from my social media profiles and after doing research i found the reason that why my followers unfollowed me. The major reason was that i was not active and wasn’t interacting with them. Welcome to my blog Guurav, thanks for sharing your social media experience here. I feel bad that you’ve lost your social followers. Yes, posting helpful information for our supporters and interacting with them are most important for us. Glad you’ve identified this mistake and I wish you to get active social media followers, keep coming to my blog. Cheers, that you’ve landed here from Facebook and you feel that it is a timely helping post for you to retain your social supporters. Welcome Surya, thanks for getting time to read this post and good to know that you’re gonna follow my tips on regaining your social followers. Keep coming to share your thoughts. Very nice post, Nirmala. Understanding your audience is the first thing you need to make sure of, in order to gain a loyal following on Social Media. Apart from that, we also need to post regular updates and useful content to keep them engaged with our social profiles. Anyways, very nice tips you have shared here. Thanks a lot. Great that you’re agreeing my views on losing social followers and yes, engaging them with useful content is essential. We should understand their needs and try to share some useful information for them. This would nudge them to follow us without fail. Thanks for your visit and kind words, keep visiting! Yes, It requires a little more time and energy, but it will ensure you won’t sign in to your Twitter account one morning and find that a mass exodus occurred while you were busy doing other things. Yes Lalitha, we definitely need to spend some time and energy to engage the social followers and keep them with us to grow our blog. Thanks for reading my post, keep coming! you have explained all social etiquettes that we have to follow, while working with all social platforms. thanks for posting. Social Media is a powerful medium to drive referral traffic and create a brand name for the blogs. Thus, we should spend quality time to share some useful data for them. You’re welcome Mahesh, thanks for your visit, comment and FB share, stay tuned! This is an eye oper I must say. Like you rightly pointed out, understanding what you are out for and who your intending audience should be is the first and very crucial part of social networking; this will help you gain addicted followers on Social Media. Identifying and understanding the audience is the critical part of blogging as it leads to blogging success. If we blindly writing and sharing the content, then there is no meaning and it is a sign to quit blogging. Thanks for your kind appreciation. I’m happy with your visit and comment, keep coming to leave your viewpoints. Have a good day! You have shared some excellent points here and I must say these tips are really helpful. Thanks for finding time to check my post and glad you liked my tips on retaining the social supporters. Keep coming to leave your views. Wonderful post, well tagging is the main thing which make the followers forcibly unfollow. So we must use it occasionally which doesn’t seem spammy. Yes, unnecessary tagging on social networks should be avoided as it would irritate the followers. Thanks for coming by! Apart from Search Engine Optimization, as a blogger we have to concentrate more on social media. It’s the great gateway for every bloggers and marketers to reach their readers as well as audience. Here, you gave awesome tips about how to increase social media followers. Yeah, we need to get support from social media followers to take our blog to next level. So, it is more important to understand their requirements and engage them with essential stuff. Otherwise, they will unfollow us. Retaining the good source would help us to grow further and thus we need to take some sincere efforts in sharing the useful content for social media followers. I’m delighted with your support through comment, keep coming to share your wonderful views. Yes, social unfollows has to be taken seriously. Most people do not even realize that people have unfollowed them on facebook or muted them on twitter – they are still friends but with no benefits! Excellent suggestions about staying on niche with the updates. Social media does not mean you can post just about anything – the followers are there for a reason, keeping sending them updates that they are interested in and they will keep hanging on. Automation is good but doing too much of that makes you a machine. One needs to be more human and keep social media – social! I feel good to get your nice thoughts and views on losing social media followers Shobha, thanks! Yes, there is no meaning in having inactive followers and yes, we should share the content according to the interest of our followers. Too much of anything is bad and thus we need to keep the automation activity at the threshold level. Thanks again for your visit and comment, keep visiting! Interacting with followers is a good idea to make them highly active on our social media pages. Interaction with our followers on social media is indeed needed to get support from them to grow our blog. Your constant visit is really appreciable, have a productive week ahead. First of all thank you for sharing such a informative article. The points which you mentioned above are quite interesting to know , I liked them very much , and I do follow those. It’s really good to hear that you liked my post and following the tips which I’ve mentioned to keep your social followers with you. I really appreciate your interest in checking my post and sharing your viewpoint, keep doing the same. What a great post, Nirmala! Gosh, I dislike those people that misuse hashtags… nothing worse than trying to fit a round peg in a square hole, huh? You’re exact and yes, I too hate the people who misuse hashtags. It is the powerful source to reach the target audience and thus it has to be used in a smart way. Thanks for getting time to read my content and sharing your nice thoughts through comment. This article is very helpful for me. you solved my problem. I feel good that my post had helped you to solve your difficulty on social media followers. Keep visiting! In your article, I must say that you are correct, “Keep a schedule and stick to it”. If there’s a will, there is way, right? You can make use of social media plug-ins or tools, ready to lend a hand in organizing things. For instance in Facebook, if you yearn to trim down the time you consumed everyday just to post an update, contest or what so ever, you can schedule your posts ahead of time there. It’s very effective, nail that. Hashtags are used in Twitter, Instagram, Pinterest, Google+ and Facebook. No wonder it’s a simple but powerful trick. Use the right hashtags to hit your target marketer. All in all, if you’ll follow the tips and keep in mind and heart, your followers will keep on increasing. Thanks for your response with care! I really like your thoughts and ideas to retain social followers and yes, following an easy-to-follow schedule & sticking to it would help us to get a brand name for our blog. Hashtag is a vibrant source to reach the target audience and thus we should use it in a wise manner. Thanks for getting time to read my post and leaving your views, stay tuned! Social Media is one of the best way to either advertise or to gain leads in business. Losing follows always disappoints everyone. By reading this post, I am sure I am not going to make those mistakes which I am doing right now. You have said right that don’t automate your social updates. From now I will do things manually. Welcome to my blog Anshul! I’m agreeing with your opinion that social media is a genuine source to generate leads. Use automation tools when u fed up with other works otherwise, try to interact with your followers by sharing some useful data for them. This would improve your status and you never lose your followers. Glad you’re gonna correct the mistakes, keep showing your presence to share your views. Have a great day ahead! One thing I feel like is that I’m everywhere LOL. But the good thing is that I interact with people more so now than I did before. You can find me interacting on twitter, google, and Facebook. And you know what? It doesn’t take too much to interact with them. But you’re tips are right on point. I do use an automated tool, but as I said, you want to make sure that you’re also interacting with authors so they know that you’re a real person, and also it shows respect. Thanks for the share Nirmala! Have a good one! Good to know that you’re well interacting with your followers on social media. Using automation tool is good when we fed up with other works and yes, we indeed need to show that we are real persons who blog with passion. This would advance our authority. These are some great points that will help you to retain social media followers. The key thing in my opinion is to add as much value as possible. I really like the formula you used above that stated to be useful and authentic and sell only sometimes. This will equal huge profits because people will have more trust and be inclined to buy from you because you have provided so much value to them. I also like that you said to be engaging as well. I hope that you’ve landed from Kingged! I’m accepting your view in adding value for the social supporters. Yes, it would give credibility and it is more likely to take our blog to next level. Yeah, selling all the times will seem spam and thus we need to focus on building trust with the audience. Engaging our social audience is most important as they can recognize our care for them. Thanks for the visit and comment, have a great day! ‘Social Media followers’ is an on-date topic nowadays. Everybody is trying to keep their social media accounts a bit professional so that the viewer or the visitors who are looking for them should get attracted to their profile and send them the befriending request or start following them. Maintaining a virtual image is very tough nowadays. People work hard to maintain their online figure. So that, they don’t lose their followers! Taking granted the followers is he great mistake usually people do. Yet, I’m new in the blogosphere but I do give my visitors, my time virtually. I never take them as granted. I can’t expect them to visit my site if I don’t solve their query. Updates! I don’t have such any schedule. Even I’m planning for it. And would soon start working on it. And indeed, getting excess amount of unwanted notification could irritate our viewers and I also get irritated. And as you’ve written in your post people will stop following them, which I did. I take care of my viewer personally, virtually! I personally use hash tags, always. It’s very rare I use it either on facebook or on twitter. I don’t cross-post at all. Even, it was becoming difficult for me to blog every day. So, I decided to make a schedule when I’m gonna post something on my blog. And believe me, scheduling something helps one to pull himself out form getting or acknowledged as ‘irregular’. I used to tag every all followers when I post something new which creates a annoying sensation among the followers which force them to un-follow. And these are my strategies I generally use for my followers or I must say for mself! I think I’m too late to get landed on your blog. Though I’m late I find your post to be good and well informative. This content is very nice and helpful. It is very useful to know all the updates of social media. And the ways you mentioned in this article were easy and simple strategy to attain our target customers. Update more and more articles which help us to get various new informations. Thank you..
My pleasure to contribute the helpful content for my beloved readers, Sathish. Glad you liked the post, I’ll try my best to publish this kind of post for the loyal readers like you, keep coming! People follow you on social media just because you serve them relevant content. They love to hear from you on the topic that they want to hear on. You cannot force them digest topic of your selection or choice. If it happens regularly , they eventually unfollow you. Better to understand your audience and deliver posts according to their appetite. Sometimes, you loose your audience because you stop listening them. Always interact with followers and have their say. Ask question and put solutions. I appreciate your great views on retaining our social followers, Kumar Chandhan and agreeing with them too. Yes, our supporters would expect useful information from us. If we fail to satisfy their needs, they will unfollow us for sure. Thanks for sharing your wonderful thoughts, keep visiting to do the same! I believe social media followers are more specific these days and we have to post our updates according to their needs, sticking to specific schedules and posting important articles will improve your reputation. Once in a while tagging influencers and requesting them to share their opinion is a good thing to follow because they have a lot of followers and they might not see your post. These are really cool tips to follow, see you soon with another article. I agree with your views that we have to share the helpful data for your social followers based on their requirements. Blindly sharing the unessential stuff would spoil our reputation. Tagging the influencers to notify some specific stuff is good but it would be better to avoid unnecessary tags and forcing them to read our blog post. Thanks for coming by, have a great day ahead! Very valuable tips you are sharing here! .. I think one of the most important tips here, is to really take the time to get to know your audience. And also build a good relationship with them. The best way to build good relationships will be by sharing content they are eager to see, and learn from. This is why finding out who exactly is your audience, and what exactly they want and need, is very important!!! And you also should really know Who you are, to them. As you said, find your own Persona. This is also important, because you want to be genuine and be real with your audience! These are great tips for social media marketing! Targeting the wrong audience in social media avoiding not following the social media best practices are major reasons I will say affects the increase of social media followers. The other reasons explained in this post are equally important. Social marketers must create value in their strategies of creating and sharing contents for the target audience. If this is ignored then it becomes regular losing followers! well i am not here because i am loosing followers, i am here because i am just starting to build my social profile and your post will help me to not loose my followers.